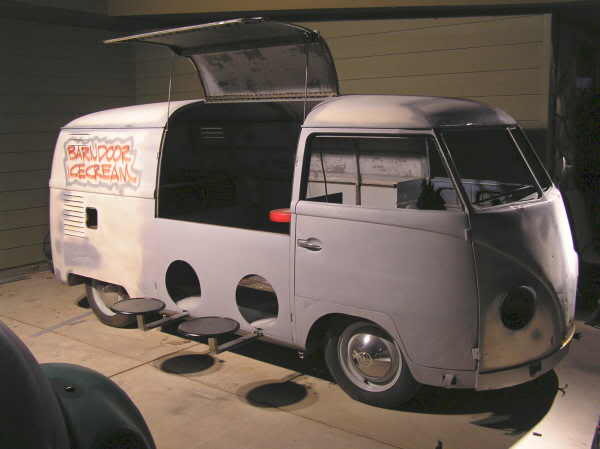 Great WV conversion here for Barndoor Ice Cream. 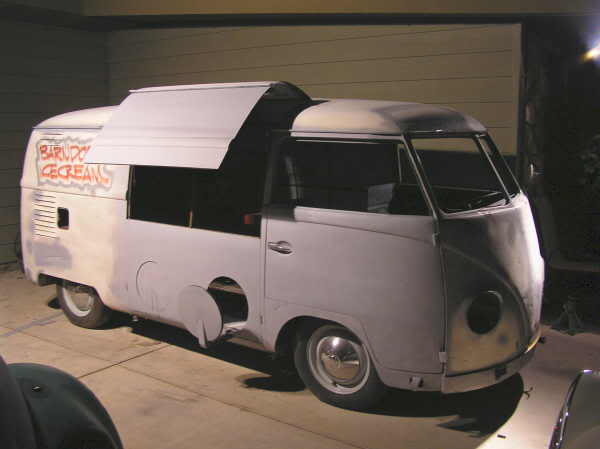 The main picture shows how the conversion was originally sketched out and the pictures below show the innovative folding roof and the great fold down chairs that come out of the side of the vehicle. 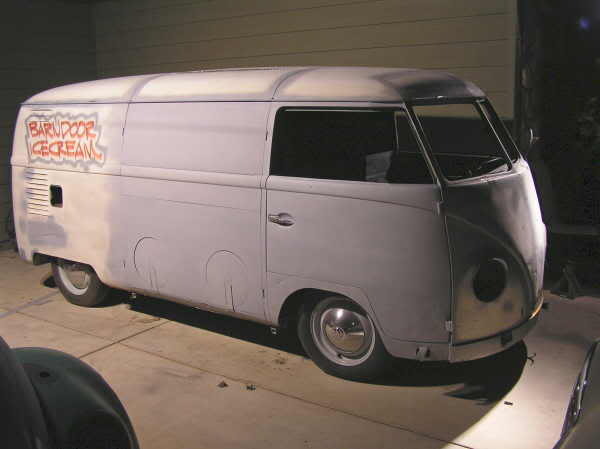 We can’t find a picture of the finished vehicle. If you have one, let us know.